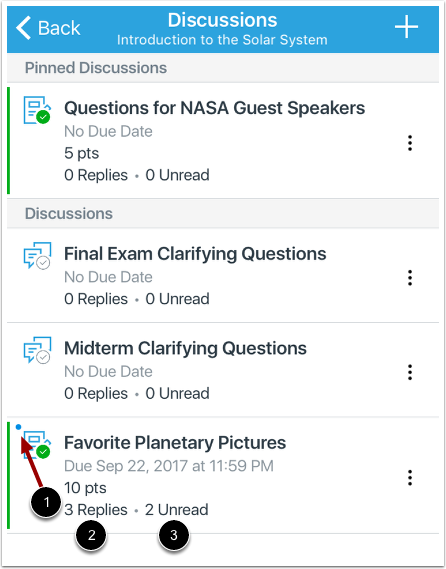 How do I view Discussions in the Teacher app on my iOS device? 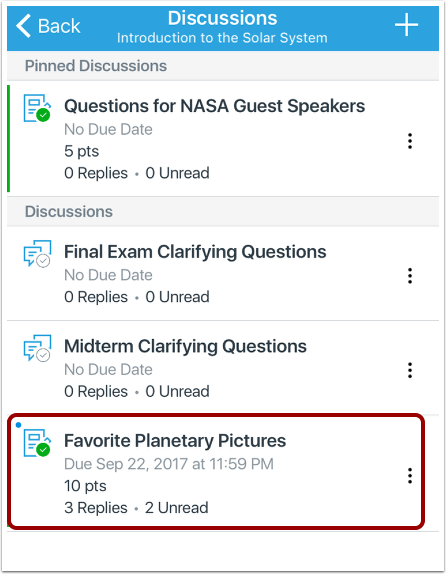 In Canvas Teacher, you can keep track of all course discussions. The most recent discussion will always appear at the top. However, replies to the discussions stay housed within the discussion itself. Unread replies are indicated by a dot next to the discussion . You can view the number of total replies  and the number of replies you have not read within each discussion . Swipe your device from top to bottom to quickly refresh Discussions. To pin or unpin, close a discussion to comments, or delete a discussion thread, tap the More Options icon. To view a discussion thread, tap the name of the thread. The discussion shows the details for the discussion and whether or not it is graded. 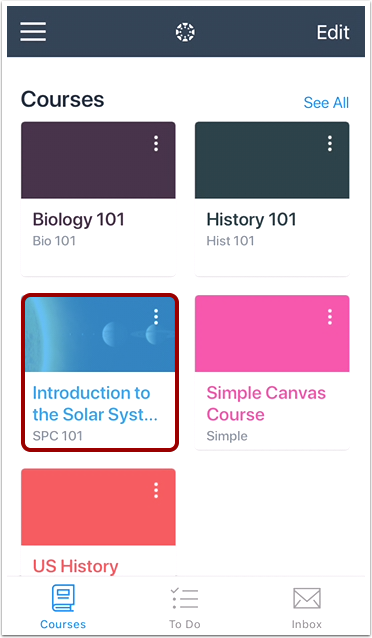 To edit the assignment, tap the More Options icon . 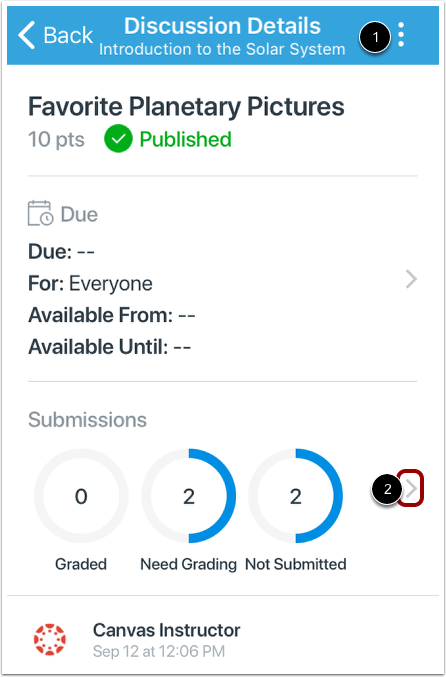 To view submissions for the assignment, tap the Submissions link . Replies can be viewed below the discussion topic. 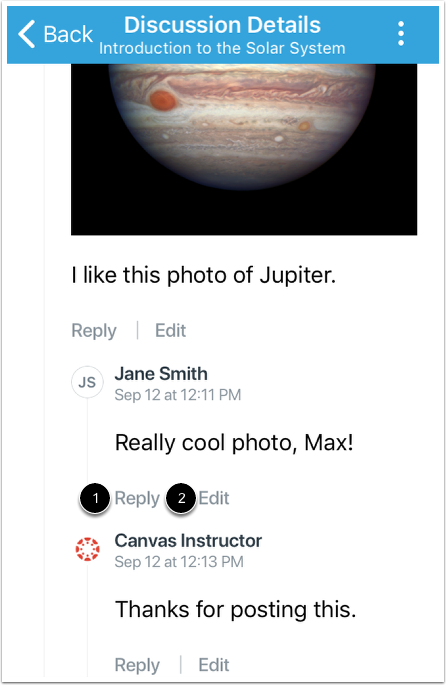 Swipe down on your device to view all replies. If any users have replied to each other, you can view the replies within replies. 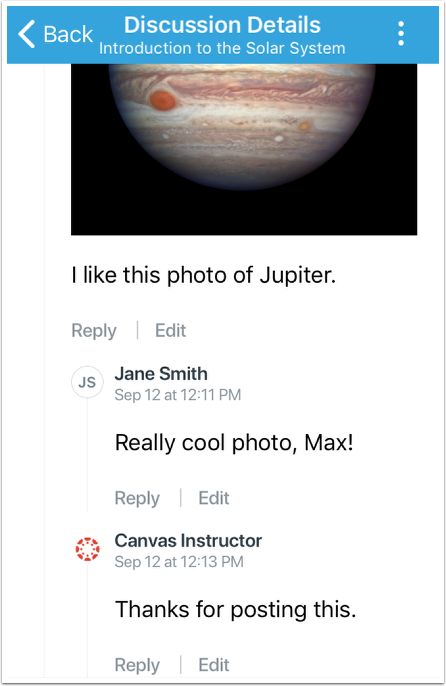 Note: Group discussion replies do not appear in the Replies section of the Discussion Details page. 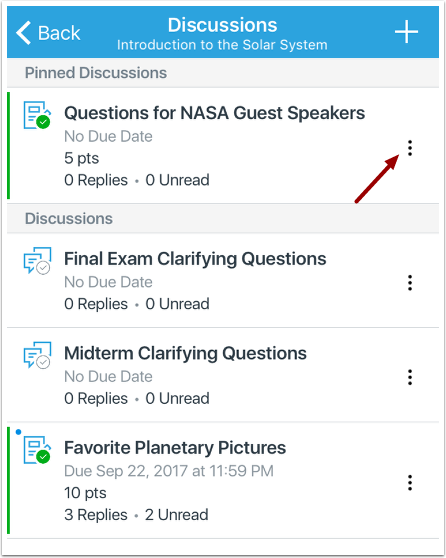 Graded group discussion replies can be viewed as submissions. To reply to a discussion, tap the Reply link . To edit or delete a user's reply, tap the Edit link . 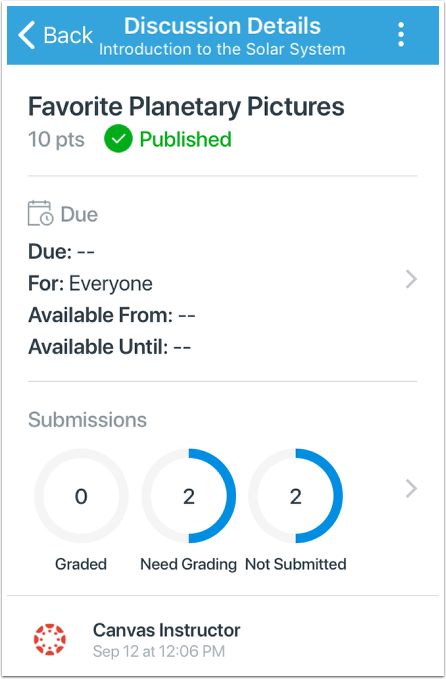 Previous Topic:How do I message students about assignment submissions in the Teacher app on my iOS device? 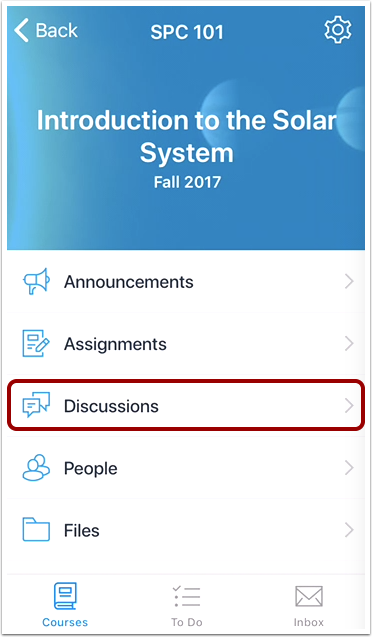 Next Topic:How do I add a discussion in the Teacher app on my iOS device? Table of Contents > Courses > How do I view Discussions in the Teacher app on my iOS device?